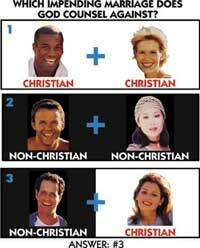 Interracial marriage: is it biblical? 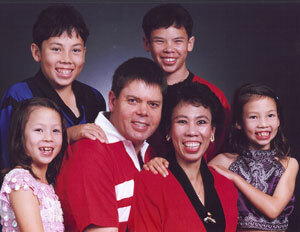 What if a Chinese person were to marry a Polynesian, or an African with black skin were to marry a Japanese, or a person from India were to marry a person from America with white skin—would these marriages be in accord with biblical principles? There are a significant number of Christians (particularly in America) who would claim that such ‘interracial’ marriages directly violate God’s principles in the Bible, and should not be allowed. But does the Word of God really condemn such mixes as those above? Is there ultimately any such thing as ‘interracial marriage’? The Bible does not even use the word race in reference to people,8 but does describe all human beings as being of ‘one blood’ (Acts 17:26). This of course emphasizes that we are all related, as all humans are descendants of the first man, Adam (1 Corinthians 15:45).9 As Jesus Christ also became a descendant of Adam, being called the ‘last Adam’ (1 Corinthians 15:45), this is why the Gospel can be preached to all tribes and nations. Any descendant of Adam can be saved, because our mutual relative by blood (Jesus Christ) died and rose again. Real science in the present fits with the biblical view that all people are rather closely related—there is only one ‘race’ biologically. Therefore, there is in essence no such thing as ‘interracial marriage.’ So we are left with this—is there anything in the Bible that speaks clearly against men and women from different people groups marrying? Note that the context of Genesis 11 makes it clear that the reason for God’s scattering the people over the earth was that they had united in rebellion against God. Some Christians point to this event in an attempt to provide a basis for their arguments against so-called ‘interracial’ marriage. They believe that it is implied here that to keep the nations apart, God is declaring that people from different people groups can’t marry. However, there is no such indication in this passage that what is called ‘interracial marriage’ is condemned. Besides, there has been so much mixing of people groups over the years, that it would be impossible for every human being today to trace their lineage back to know for certain which group(s) they are descended from. In the genealogy in Matthew 1, it is traditionally understood that the same Rahab is listed here as being in the line leading to Christ. Thus Rahab, a descendant of Ham, must have married an Israelite (descended from Shem). Since this was clearly a union approved by God, it underlines the fact that the particular ‘people group’ she came from was irrelevant—what mattered was that she trusted in the true God of the Israelites. The same can be said of Ruth, who as a Moabitess, also married an Israelite, and is also listed in the genealogy in Matthew 1 that leads to Christ. Prior to her marriage, she had expressed faith in the true God (Ruth 1:16). Susan Chavez Cameron and Susan Macias Wycoff, ‘The destructive nature of the term race: growing beyond a false paradigm,’ Journal of Counseling & Development, 76:277–285, 1998. Return to text. J.C. Gutin, ‘End of the rainbow,’ Discover, pp. 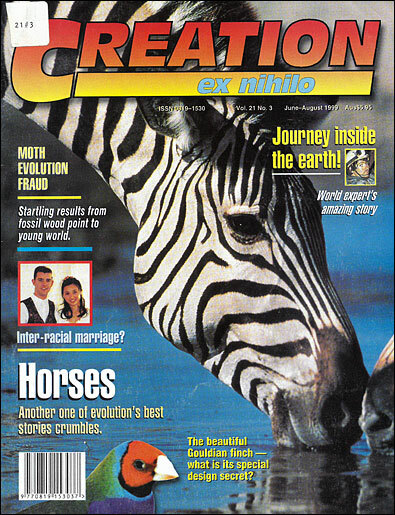 72–73, November 1994. Return to text. ‘Modern “Stone Age” reconsidered’, Creation 15(4):51, 1993. Carl Wieland, ‘Shades of Babel’, Creation 13(1):23, 1990. Jerry Bergman, ‘Evolution and the origins of the biological race theory,’ Journal of Creation 7(2):155–168, 1993. Return to text. Dr Don Batten (with contributing editors Dr David Catchpoole, Dr Jonathan Sarfati and Dr Carl Wieland), How did all the different ‘races’ arise (from Noah’s family)? 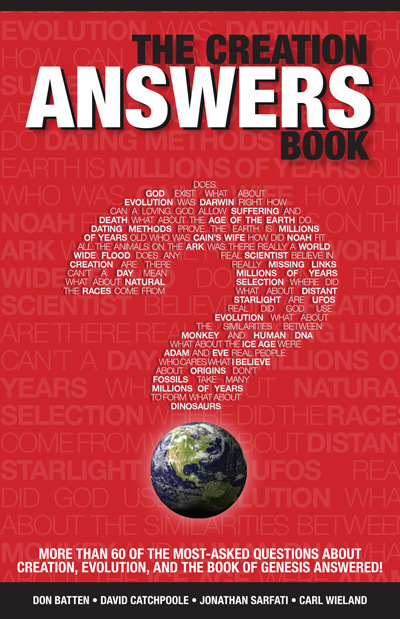 The Creation Answers Book, chapter 18 (2014). Return to text.